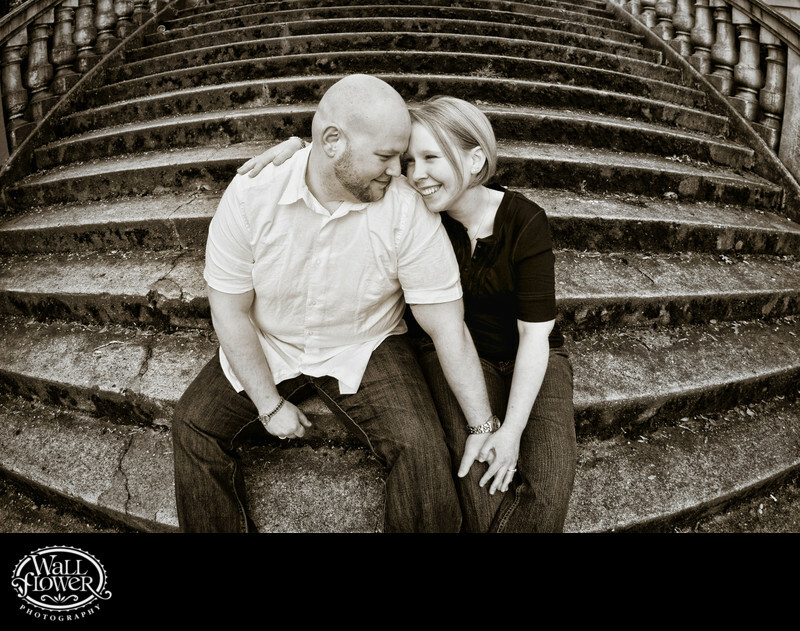 I shot this engagement portrait of a couple sitting on the Spanish Steps, a historic staircase located at the north end of downtown Tacoma next to the McMenamins Elks Temple, from a close distance with my trusty fisheye lens. This unique lens curved all the straight lines of the concrete steps and captured an ultra-wide field of view that includes the weathered bannisters bracketing the two top corners. The black and white effect, plus a little extra Photoshop magic, helped to bring out texture while simplifying the image.